Traffic in Athens has been unusually good recently. Living under capital controls forces people to spend as little as they can. That means cutting out unnecessary journeys. "It's noticeable. People don't drive any more. There's been almost no traffic," taxi driver Kostas Gevetos said. His business has slowed down in recent months, with many locals opting for cheaper public transportation. Banks in Greece have been closed for over a week, as the government tries to keep the financial sector afloat. Greeks have drained tens of billions of euros from their accounts in recent months, fearing the consequences of economic collapse. Gevetos' biggest worry is fuel. "All petrol in Greece is imported, and with the banks closed, how will we get it?," he said. "The government said we have enough for a month. But I don't know if I can believe it." Taking taxis is out of the question for pensioner Eva Ferentinos. She has never counted money as carefully as she does now. When she went shopping in her neighborhood on Monday evening, she bought lettuce, two carrots, two bananas and some celery. She couldn't afford more. Her pension is 831 euros a month and she can only take out 50 euros at a time. "But I try not to spend it, because I will need it for the rent and electricity," she said. 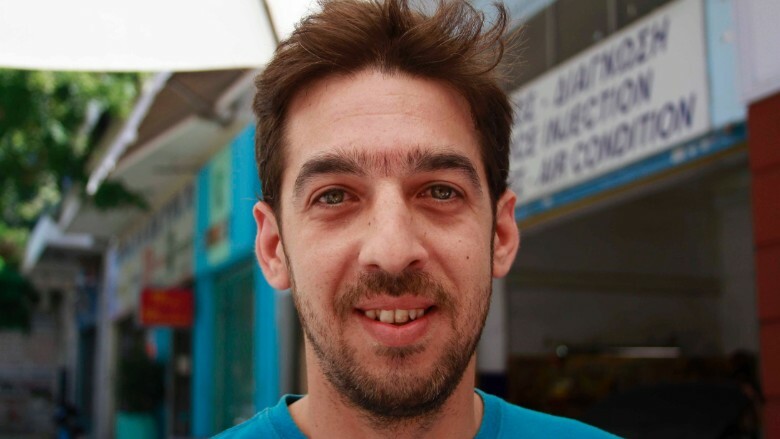 Sotiris Flamouris' business has dropped 30% since the banks closed. The urge to save as much cash as possible is troubling Greek business owners who have seen fewer and fewer customers in the past few weeks. Bakery owner Sotiris Flamouris said business has been down 30% in the week since the government imposed capital controls. Tobacconist Vaso Giannakopoulou has a similar experience. She's seen the number of customers drop by a third since the banks closed last week. 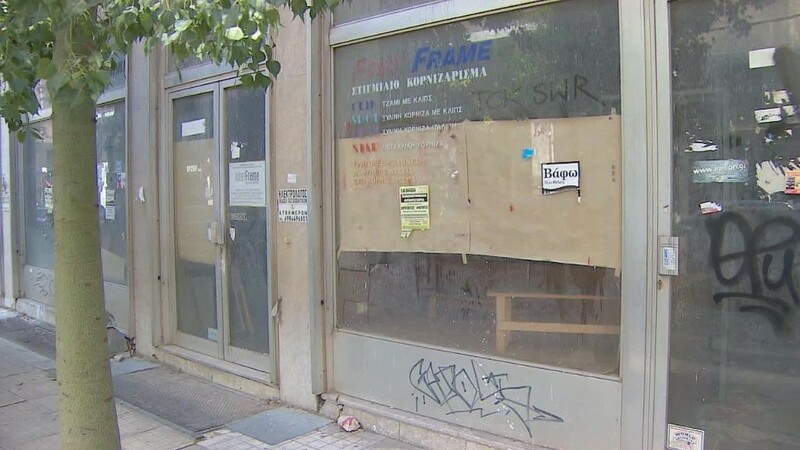 The Greek economy has shrunk by 25% in the last five years, according to IMF data, and one in five businesses has gone bust. Nearly 60 companies have closed each day this year, according to the Hellenic retail business association. The cap on cash withdrawals has brought Giannakopoulou practical problems too. "The banks have now run out of 20 euro notes, so everyone comes with 50 euros, it's very difficult to get change," she said. 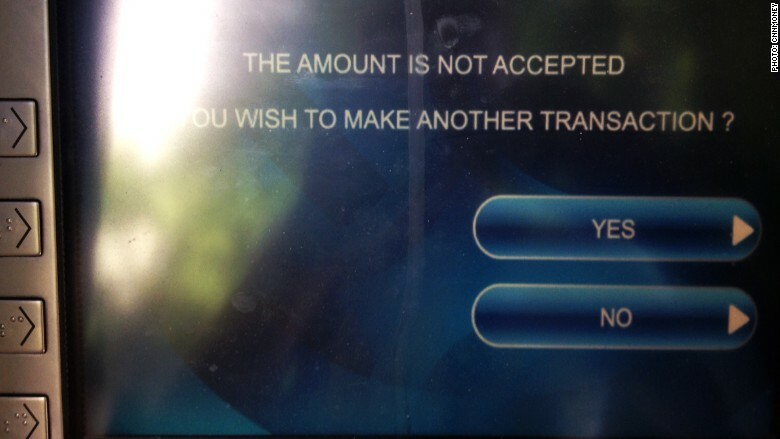 Many ATMs in Athens have run out of 20 euro notes. Lines outside banks in Athens have become the new normal. The one outside a Piraeus bank branch near Neos Kosmos station in Athens was long on Tuesday -- 15 or so people waited to withdraw money. Katerina Drikou was one of them, waiting to get hold of her pension -- at least the part she is allowed to withdraw. It was the third time this week that she was at the bank. People in the queue were calm. Drikou said that the bank holiday brought a renewed wave of solidarity among the Greeks, who are radically cutting down on spending. "Nobody buys tickets for the trains and subway," she said. "But people understand."